Your busy schedule doesn't have to get in the way of keeping your home beautiful, day and night! At Cinema Architects, we are dedicated to saving you time, electricity and ultimately money. By having an efficient lighting system, you are making an investment in your home. Our advanced lighting control system allows remote access of your lighting system. Be welcomed home by a well-lit drive-way and a cosy indoors. 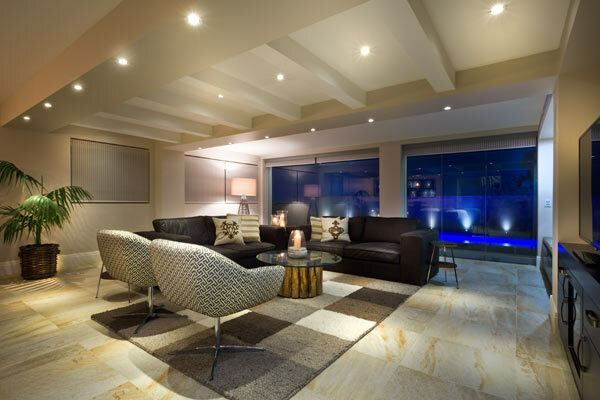 Adjust lighting in all or individual rooms with a touch of a button. Not only is this a time-saving investment but also an increase in the security of your property. At Cinema Architects, we believe that there is a shading control system that suits you and your lifestyle. Gone are the days of using window shades only to block the sunlight. Use programmed pre-sets to your advantage by allowing your system to open/close shades during the day to control room temperature. 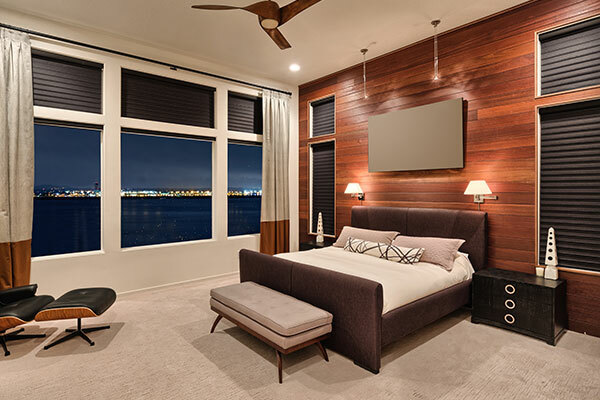 Different seasonal presets help save additional electricity beyond the routine use of shades. Not only is our shading solutions beautifully designed and a visual asset to your décor, but it is an investment for your expensive furnishings as it prevents damage from harsh UV rays. We supply and install motorized shades to suit your tastes and your home and with the Cinema Architects guarantee of a perfect fit.